The A Star is Born Soundtrack has sold 42K physical copies most recently suggesting it is the most gifted album of 2018 followed by Michael Buble (35K Units) and Pentatonix (30K Units). Around December every year people start to buy presents for those they need to. What do you get? Movies, games, music, and books are some of the most popular things to get for people so they can have some fun. So it is a quite common gift to just buy an album and give it as a present. Now you can give a physical album or a digital album but there's just nothing like a physical copy of an album so especially with a lot of older people doing the giving it makes sense that physical albums sold in December are a good way to see what albums are the most gifted. Particularly, you can see gifted albums from very strong physical album sales. The A Star is Born Soundtrack recently sold 42K physical copies, the most physical copies, whereas Drake's Scorpion recently sold 2K physical copies. The A Star is Born Soundtrack came out at the beginning of October and was met with praise. Drake's Scorpion came out at the end of June and was met with mixed reviews. The A Star is Born Soundtrack sold 21 times more copies than Drake's Scorpion. 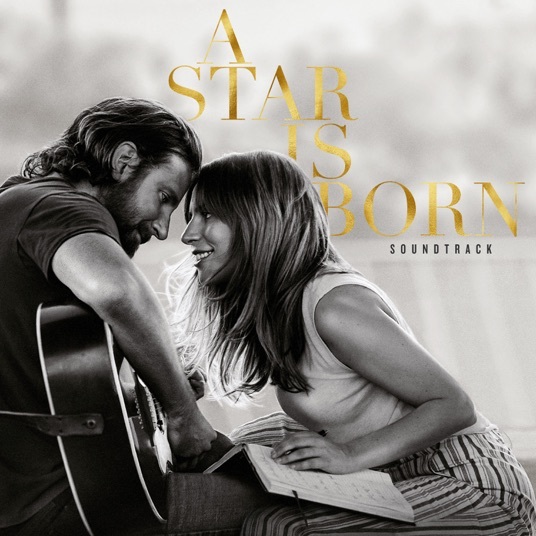 Therefore you can see that The A Star is Born Soundtrack is an easy gift with it's high numbers and approval. Not to mention week after week of strong physical sales. On Trackwave the A Star is Born Soundtrack was also met with positivity with 94% of over 120 critics liking it. The album was driven by Lady Gaga along with Bradley Cooper and had awards nominated hits. It was recorded live. There really isn't much that can compare to it in 2018. It's not hard to see why it's on people's lists and still on the charts. Recently, the A Star is Born Soundtrack took 1st place for physical sales at 42K Units, Michael Buble's Love which came out in November took 2nd place (35K Units), and Pentatonix's Christmas is Here! that came out in October rounded out the top three (30K Units). The Greatest Showman Soundtrack from the 2017 movie continued it's run to take 4th place (25K Units) and the Bohemian Rhapsody Soundtrack (21K units) has also been quite strong in 5th place. Now Pentatonix album may or may not be a gifted album but just strong around Christmas time that people are buying to play for the holidays. Or in other words gifting to themselves. The other albums seem right as gifts to others as they aren't only Christmas themed albums to just play for the holidays but anytime of the year even after Christmas. The numbers are in line with what we've been seeing in November and December when people are buying Christmas gifts. The A Star is born Soundtrack, Michael Buble's Love, The Greatest Showman Soundtrack, and The Bohemian Rhapsody Soundtrack have all been consistently selling physical copies well even though they were released some time ago. So it's safe to say these were the most gifted albums of 2018. They're what we can tell people bought for gifts in 2018.